Social Security receives more disability applications for back and spinal problems than for any other physical illness, disease or injury. Social Security’s disability examiners review back pain problems and injuries every day. They review so many spinal claims that they are familiar with medical terminology relating to the back, and they will not grant disability benefits for the type of moderate or periodic back pain almost all of us suffer after age 40 or 50. Even then, you must satisfy Social Security’s severity requirements for the particular spinal condition, which is not easy. It is not easy to win a disability claim based solely on degenerative disc disease, or DDD. This explains some of the ways to build a case involving DDD. With good medical records and impairment opinions from your treating doctors, winning a disability claim for spinal stenosis is possible (and it is a listed condition under the Listings of Impairment). Social Security will often take the position that a medical condition from a herniated or bulging disc will last less than a year, and thus does not satisfy the “One Year Rule”. Only the most severe cases of scoliosis will likely qualify for Social Security disability benefits (SSDI or SSI). If you have one or more herniated discs (or arthritis that is causing nerve root compression), the severity of your condition should be evidenced by positive medical findings and imaging, such as evidence of nerve root compression characterized neuro-anatomic distribution of pain, limitation of motion of the spine, motor loss (atrophy with associated muscle weakness or muscle weakness) accompanied by sensory or reflex loss and, if there is involvement of the lower back, positive straight-leg raising test (sitting and supine). Social Security recognizes Ankylosing Spondylitis (AS) as a painful and limiting medical condition that can make full time work difficult, if not impossible. Documenting how your degenerative disc disease affects you on a day-to-day basis and how it limits your daily activities are key to your disability claim. You should also pay attention to how well your doctor documents your condition in your medical records. Neck pain is a very common basis for applying for SSDI and SSI benefits. There are numerous ways to win approval for disability benefits due to neck pain problems. If you’ve had a fusion surgery in your spine but your pain condition still hasn’t improved and you are still unable to work, you may qualify for benefits under Social Security’s reconstructive surgery listing. 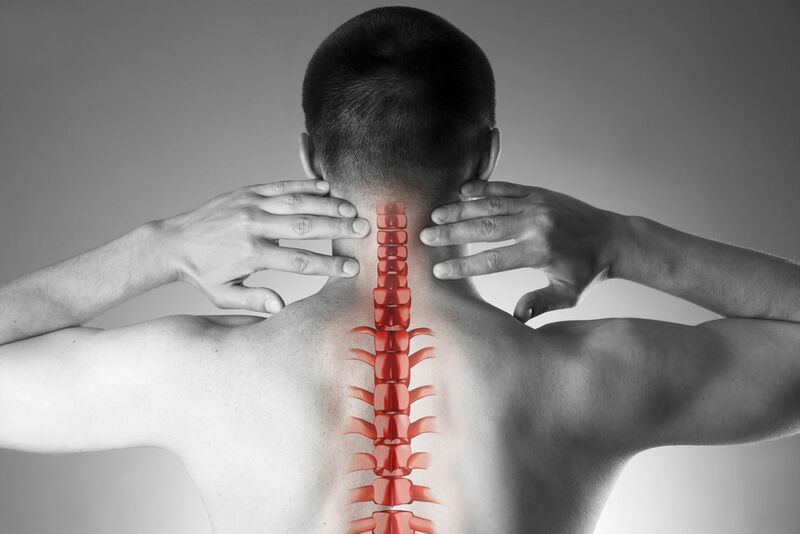 Not all individuals with spinal cord injuries automatically qualify for benefits. This report explains what type of evidence Social Security is looking for in spinal cord injury or paralysis claims. How Does Social Security Review SSDI and SSI Disability Claims for Back Pain? Disability claims based on back pain often come down to your credibility (how believable you are when you describe your pain), and whether there are objective medical findings to and whether there is some objective evidence of a condition that could reasonably produce pain (such as positive findings on an MRI). Can I Receive Disability Benefits for Arachnoiditis of the Spine? If you have medical proof of arachnoiditis and your doctor states that you need to change your posture or position every two hours, you may qualify for disability benefits for Arachnoiditis. (Arachnoiditis is a listed condition under the Listings of Impairment). Will Social Security Give Credit to My Chiropractor’s Opinions Relating to My Back Disability? Social Security may give opinions from chiropractors some weight, but not great weight. What Are the Main Causes of Back Injury Conditions? Many back pain problems are degenerative in nature which means that the bones in the spine begin to break down due to the natural aging process. However, many back injuries are also caused trauma from an accident, such as car accidents, falls, sports activities, and workplace accidents. These are also common causes of back injuries and strains. Does More Back Pain Mean a More Serious Insult or Injury to the Spine? The severity of your back pain may be unrelated to the extent of actual physical damage, and is not necessarily indicative of whether you will receive disability benefits. Ankylosing Spondylitis can cause serious spinal problems and thus may quality for disability benefits. Can I Receive Social Security Disability Based on Spina Bifida? Spina Bifida is named in the Listings of Impairment. Social Security will evaluate claims for spina bifida under its disability listings for spinal disorders when the spine is impacted in certain ways. Can You Qualify For Disability if You Have a Failed Laminectomy or Discectomy, Which Did Not Cure Your Back Pain? When laminectomy or discectomy fails to relieve your pain symptoms after a reasonable recovery period, you may qualify for Social Security disability benefits.